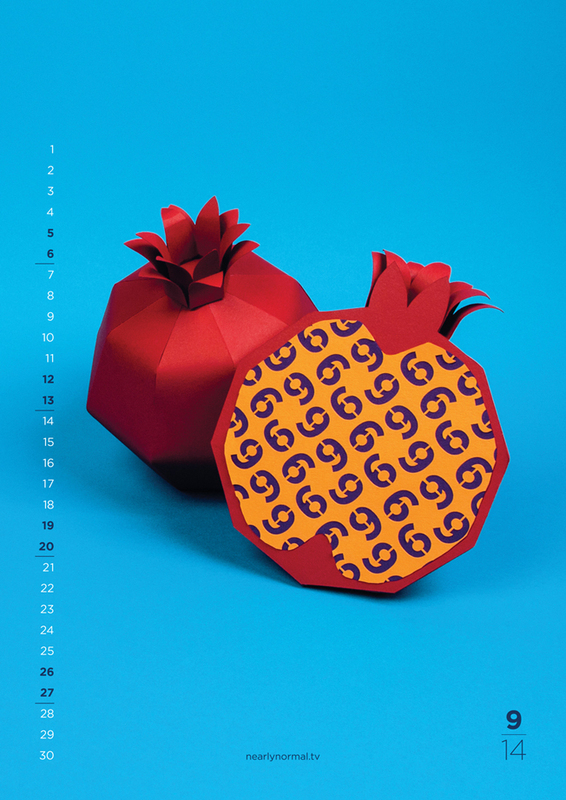 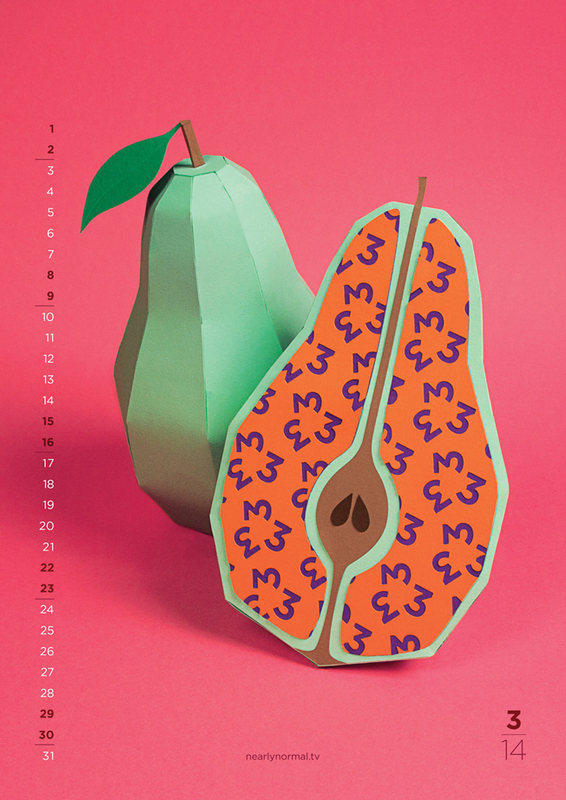 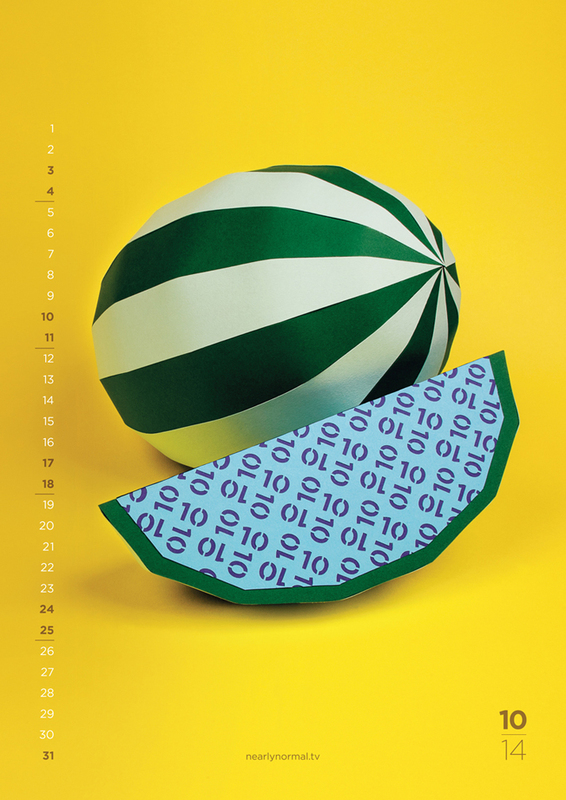 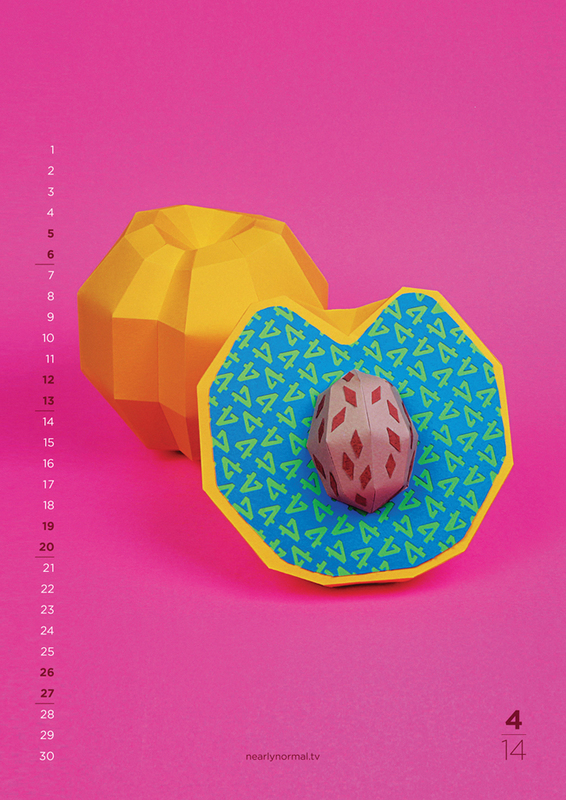 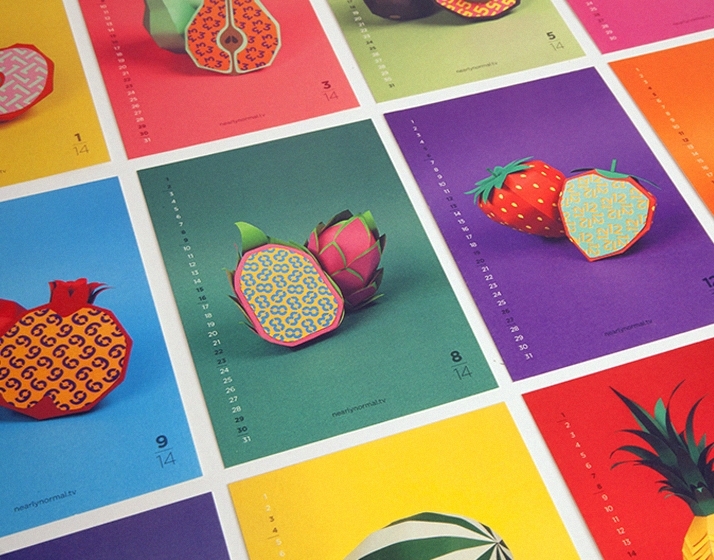 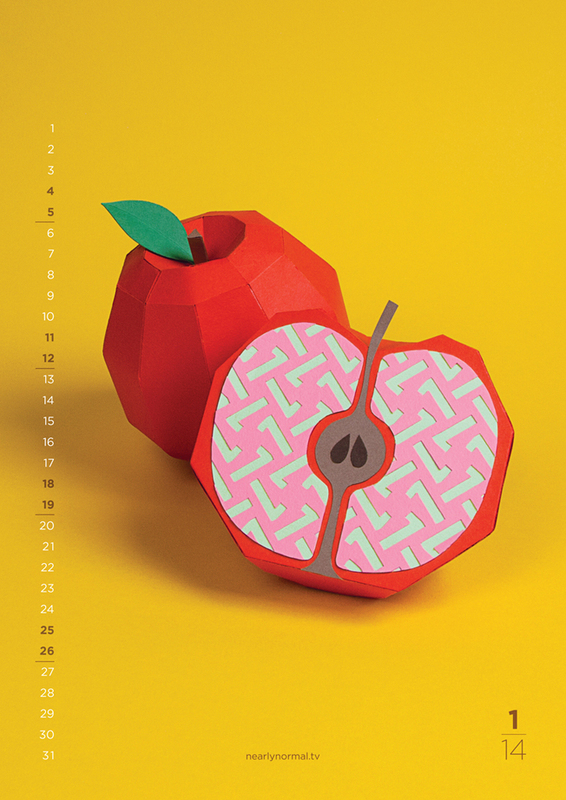 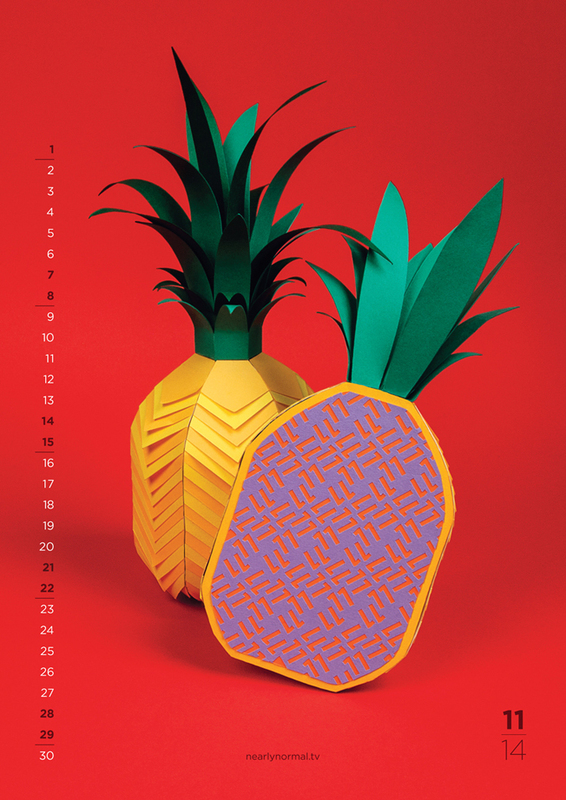 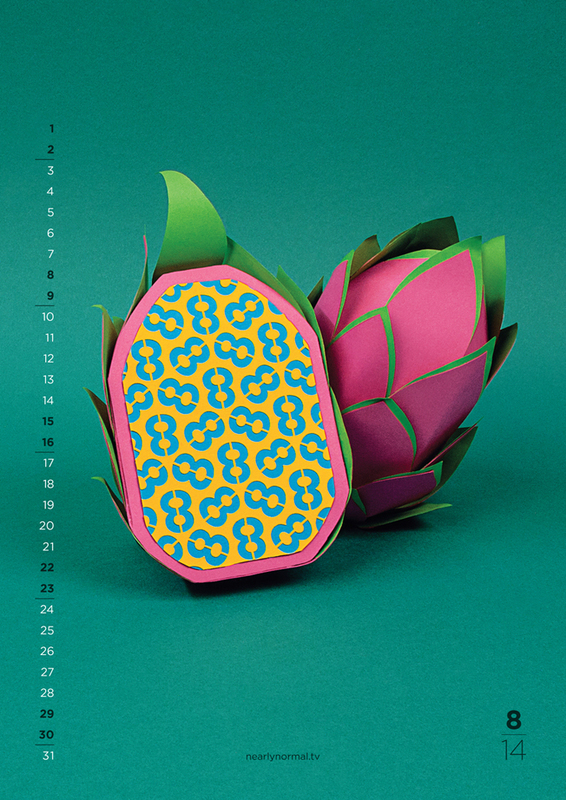 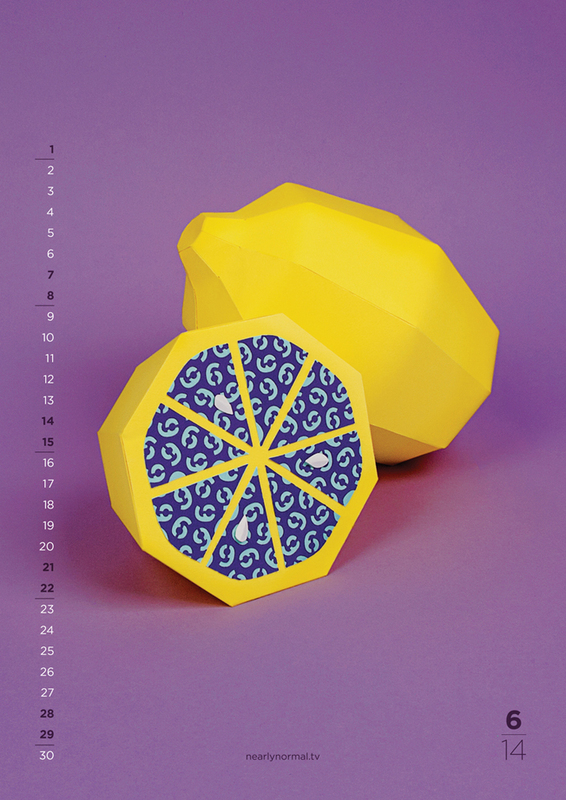 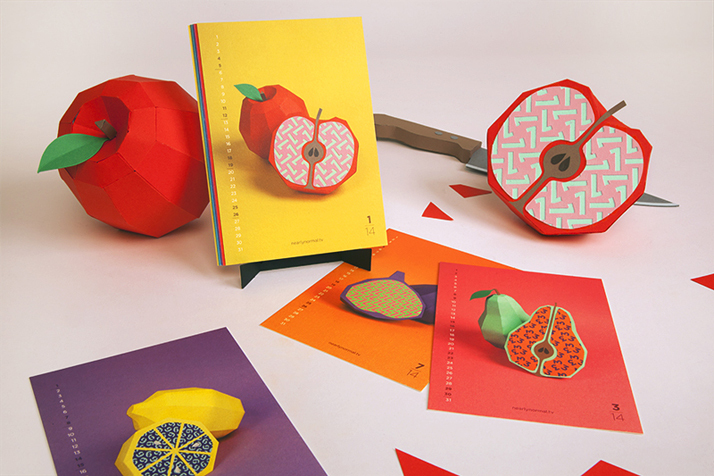 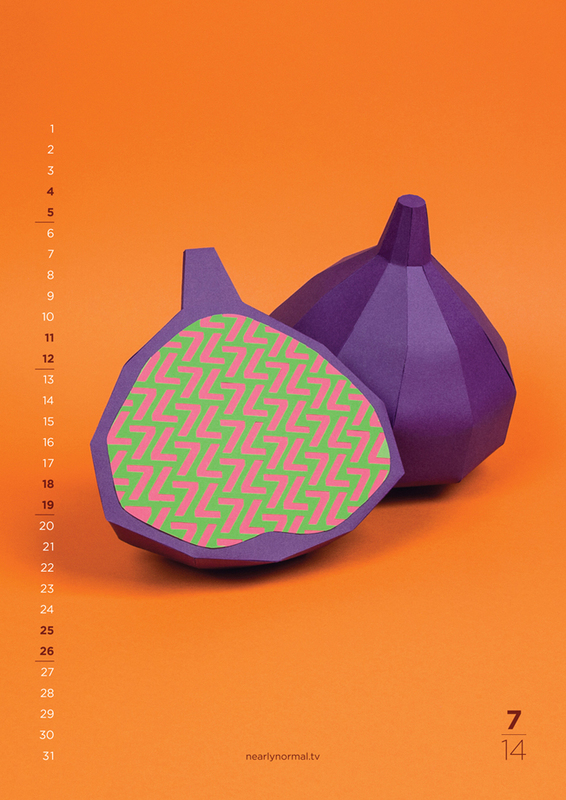 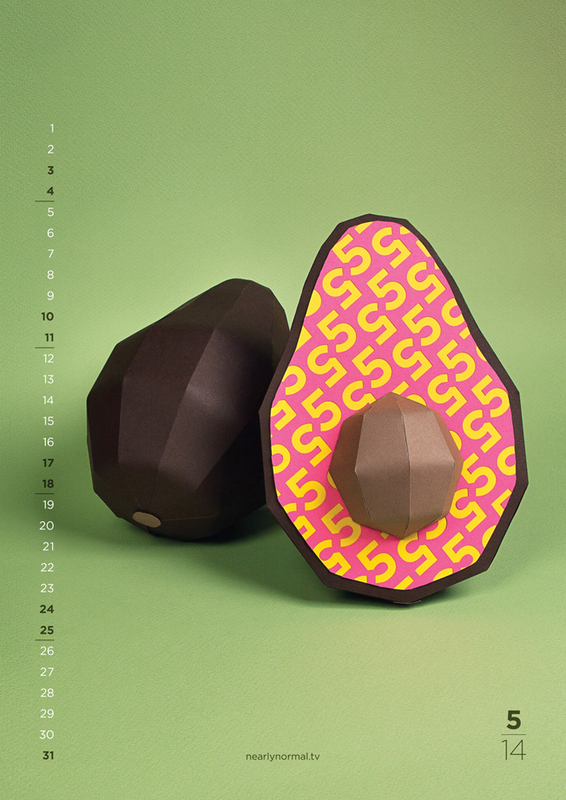 A fruit calendar made completely from paper by Nearly Normal Studio. 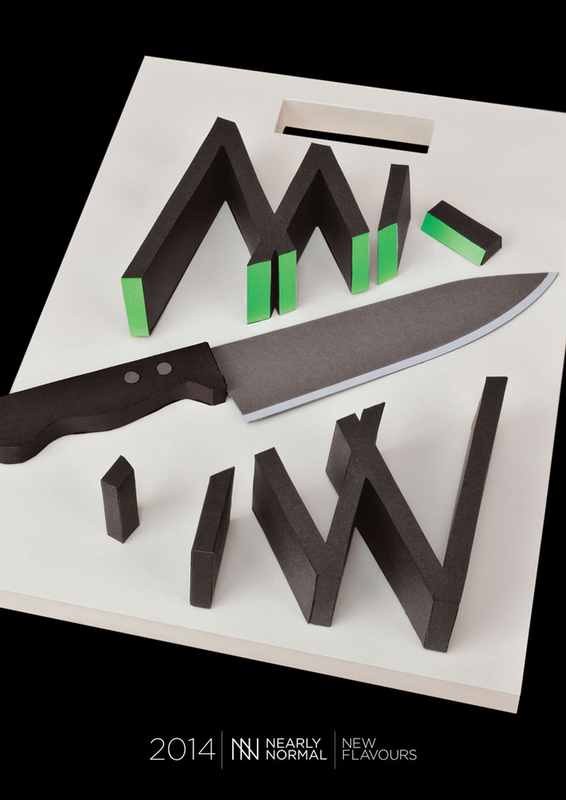 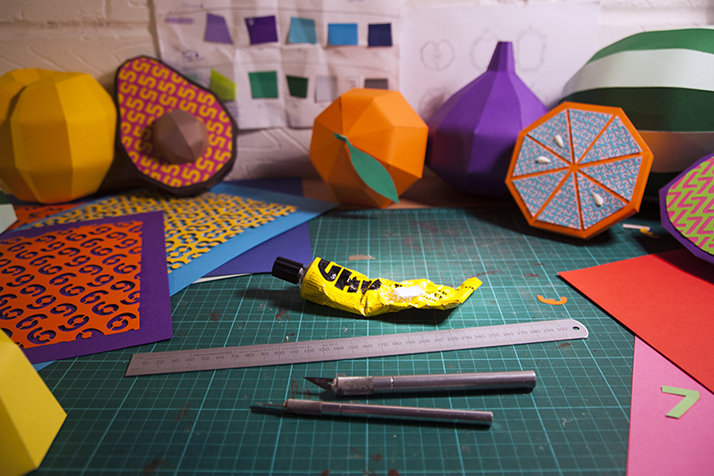 This is a collaborative work with the Nearly Normal Studio. 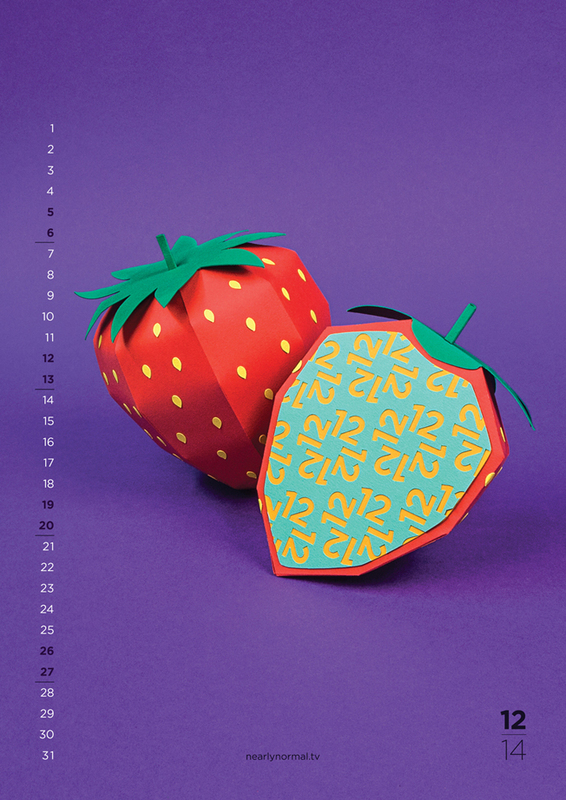 This is the Nearly Normal 2014 calendar. 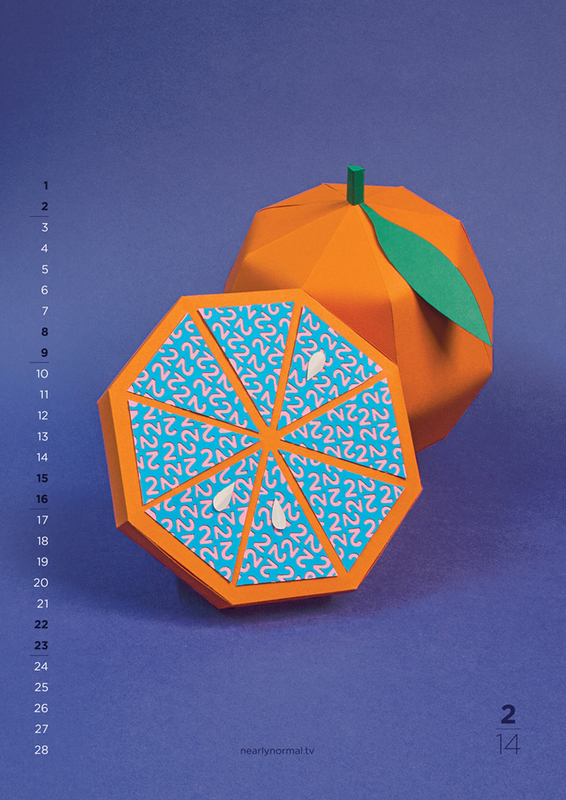 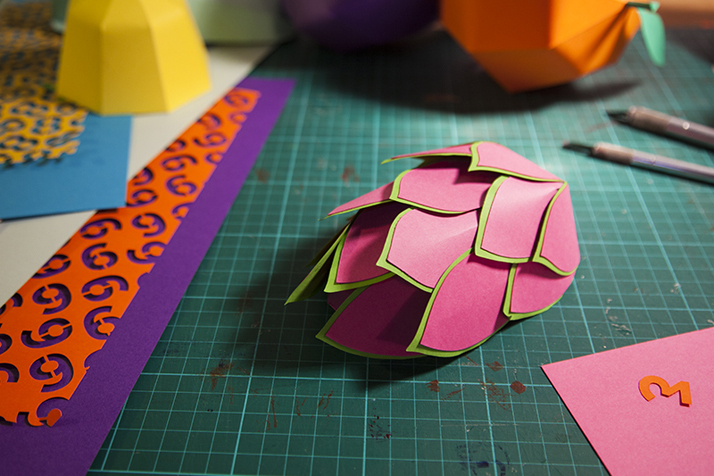 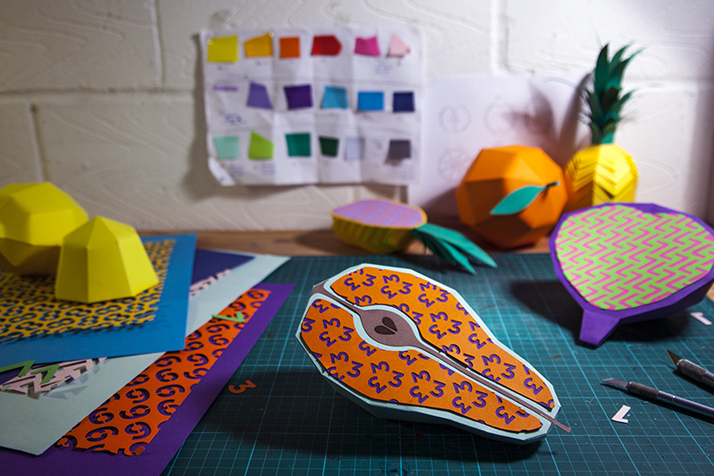 Made completely from paper, it’s a fruit calendar but with a Nearly Normal twist!